This is my user page in Wikipedia where I listed all my earlier articles in English Wikipedia, the Burma Digest and my San Oo Aung Blog. Sorry friends, you cannot easily get the direct link and read most of the Burma Digest articles because it was attacked by Military Cyber-troopers with numerous viruses. Especially Burmese articles are all destroyed and also because BD had moved its server and even many English article links are damaged….. Please kindly GOOGLE SEARCH the article name and if you are lucky, you could find the SHARED sites especially in my San Oo Aung blog and Ko Ko Gyi blogs. Please read my user page in the English Wikipedia at this link. Using pseudonym_ Dr Zafar Shah. This user is a member of WikiProject Burma (Myanmar). Using pseudonym_ Dr San Oo Aung. “- – – today’s human rights violations are the causes of tomorrow’s conflicts.” by Mary Robinson, High Commissioner for Human Rights (1997-2002). “Do not let your hatred of a people incite you to aggression” (5:2). “And we set you up as nations and tribes so that you may be able to recognize each other” (49:13). “No Arab has any superiority over a non-Arab, nor does a non-Arab have any superiority over an Arab. You are all the children of Adam, and Adam was created from clay” (al-Bayhaqi and al-Bazzaz). Indians in Burmese History as it was deleted by reckless Wiki editor without even arguing the facts validity (could still search and read in edit history of Wiki, I hereby publish in my own blog https://drkokogyi.wordpress.com/2011/04/29/indians-or-kalars-in-burmese-history/..As my article is already a GA or Good Article I wished not to tarnish by adding back my chapter. List of Burmese Indians Although erased, this chapter is revised, edited and put back in the main article as one heading. Razali Ismail Corrected the specific position as the United Nations Secretary-General’s Special Envoy to Myanmar. February 13births. (General/Bogyoke) Aung San’s date of death corrected. List of revolutions and rebellions Adding Military coup of 1962 in Burma by General Ne Win. Bogeyman Adding the Burmese Bogeymen, Pashu Ghaung Phyat. Wren & Martin Adding another book A Final Course of Grammar & Composition and the facts about the books’ usage as English Grammer books in Mission Schools in Burma. Lethwei Adding Kyar Ba Nyein’s role as a pioneer. 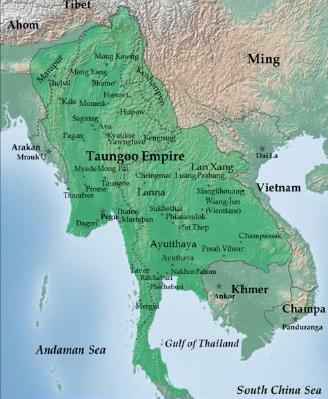 Early history of Burma Total revamp of the article after expension with facts complete with references. Ganesha in world religions Added the origin of Thingyan in Myanmar myth. U Thant. Adding Jalan U Thant in KL, named after him. TOTAL 1166 articles/postings up to 11.08.2008.in my own blog only. TOTAL Hits 400,231 of visits up to 26.12.2009. on my own blog and achieved about ONE Million hits in all my blogs and articles including Wikipedia. Another 320++ articles in Burma Digest. But some articles are posted in both sites, sometimes modified or edited. There are a dozen of Islam articles in Muslim Wiki. (They are almost similar to my articles in main Wiki. Various articles in different journals, magazines, newspapers and online news/magazines are excluded. Dr. Ko Ko Gyi’s (@ Dr.Abdul Rahman Zafrudin) Blog.